SIP Building Systems Ltd is a major supplier of SIP panels and has identified the self build housing market as the largest user of our panels, these are processed and predominantly supplied via SIP fabricators. 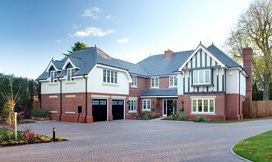 SIP panels are used from a small extension up to a large executive new build property. 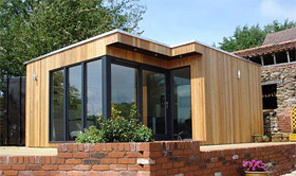 SIP Building Systems Ltd for many years has been providing SIP panels too a number of leading leisure home and modular building manufacturers. 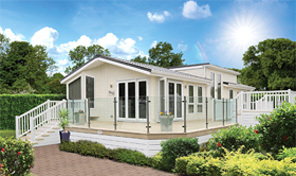 The panels used by the leisure home manufacturers are typically used in the floor, the panels are screwed down to a steel chassis and the homes are built up from there, some manufacturers are also using the SIP panels in the walls. 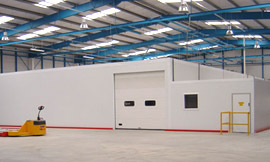 SBS tend to produce panels that make up a kit of parts that are then erected by the leisure home manufacturers. 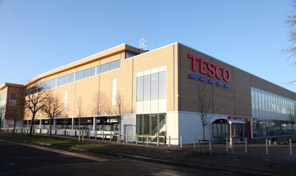 SIP Building Systems Ltd also has a division called Custom Coldrooms who produce rooms to create a controlled environmental, these rooms are used predominantly in the food industry and are used extensively by a number well known high street brands. 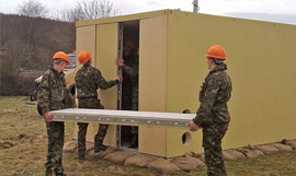 SBS design and manufacture modular and flat pack ballistic and blast protected shelters which are designed to save lives and reduce the threat of injury to a wide range of military and non-miltary personnel. SIP panels are used to create modular PODs for hotel and student accommodation rooms, a typical hotel pod room is manufactured in a factory environment which once complete includes all carpets, curtains, beds etc... They are then crane lifted into position and stacked on top of each other on site once all groundwork's are complete.